Duane Jones played the last man with a brain, literally. After more than 40 years and thousands of movie reviews later, Night of the Living Dead continues to inspire and recycle horror fans from one generation to the next. So much has been written about this 1968 classic, any movie critic would be severely challenged to say anything that hasn’t been said before. However, this isn’t a review to challenge movie critics but rather to compliment its enjoyment for fans and critics alike. With the brand of visceral cruelty that modern horror films seem to favor, it’s hard to believe that in 1968 teenagers were disturbed by the violence in Night of the Living Dead. Even by today’s standards of a PG-13 rating, the method by which the violence in this film was shot seemed amateurish except for the fact that any female character slapped by a man would eventually have papers served by the end credits. Yet, this film still has some revolutionary elements today. Some 40+ years later horror films still haven’t really warmed up to an African American lead or minority protagonists in general. Duane Jones played such a straight arrow that any man could relate to him. As Ben he finds himself in a situation that he doesn’t understand. Ben knew he had to keep his wits about him in order to survive. Audiences who rooted for him against the overwhelming odds, felt the ending was an agitating cruel twist of fate. Jones commanded the big screen when he described the gruesome sight of body parts torn apart as he drove a truck through a crowd of zombies. At that point, the film transcended racial differences because any audience can relate to the physical and psychological struggle. Never mind Jack Johnson’s coined phrase, “the great white hope.” Ben was the America’s last hope for sanity in an insane world plagued by zombies. 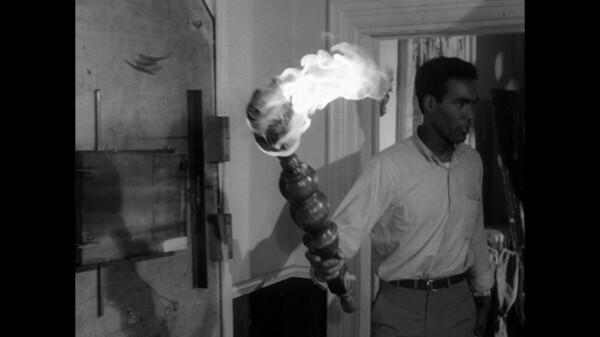 Night of the Living Dead never relied solely on jump scares. The slow drawn out build of suspense was its bread and butter. Any audience was aware of what was coming because a majority of the shots placed the unaware victim in the foreground with the infectious zombie horde slowly advancing into overwhelming numbers. The pacing was so drawn out that today it might require some patience and restraint not to scream out “run goddam it”. Still the film had a design where every encounter with the undead had a subtle, calculated build up that almost caught one slightly off guard. A few zombies might not seem formidable but a claustrophobic climax with a relentless horde presented a different effect. 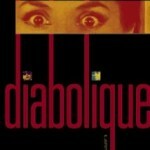 Romero’s ground breaking film might never have the same theatre value with ticket prices far from the 1968 prices. However, the orchestra soundtrack will always continue to delight anyone hosting friends in their home with entertainment centres and cozy couches. Night of the Living Dead will always be the perfect conversation starter for all ages of horror fans alike because its the beginning of many good things to come. In my homage to George Thorogood’s one bourbon, one Scotch, and one beer I rate Night of the Living Dead as a cozy bourbon on a cool autumn October evening with friends. Hey this post is funny and interesting. Can you comment me any related articles? I hope you’re had a great weekend. I try not to read too many articles so when I write because it’s a little easier to find my voice. Many DVDs offer director’s commentary and behind the scenes. I can suggest two old stand bys: This is Roger Ebert’s review of Night of the Living Dead: http://bit.ly/2MZUIy and you should also check out the American documentary American Nightmare (2000). Hi, possibly i’m being a little bit off topic here, but I was browsing your site and it looks stimulating. I’m writing a blog and trying to make it look neat, but everytime I touch it I mess something up. Did you design the blog yourself? Could someone with little experience do it, and add updates without messing it up? Anyways, good information on here, very informative. Yes, I designed the blog myself. Always remember, there are a million blogger sites but what’s most important is what you emphasize. Remember, speed is a by product, it is by far not the only attribute to blog by. The site should reflect who you are. It’s not about popularity contests. Usually I do not make comments on blogs, but I have to mention that this post really forced me to do so. Really nice post. I thought you and the readers might want to consider receiving free copy of Dead Rising 2. Here’s the tale. I found a web site – http://www.deadrising2forfree.info (which i considered was obviously a total bs, because it’s well known nothing is “free” and I saw these types of websites before a lot), I made a decision to give it a shot and clicked through, followed on-screen instructions – and here I am three weeks later with my brand-new shiny piece of plastic – Dead Rising 2 unboxed! Now get there and try it out yourself. Hope I added some value to your blog and someone gets as lucky as me! Just wish to say what a excellent blog you got here! I’ve been around for quite plenty of time, but finally decided to show my appreciation of your work! This is a great post. Thanks for sharing those post. I will definitely check it out.